Canadians celebrate! The National Day of Canada is here! Every July 1, the federal holiday in Canada is widely observed for its historical, cultural and nationalist importance. All over the country, celebrations of this festive summer holiday include spectacular fireworks displays, colorful parades, delicious barbeques, exciting carnivals and fairs, enjoyable family picnics and entertaining concerts. Just like all major holidays, Canada Day or Fête du Canada traces its roots to a historically significant event. Since 1867, Canadians have been commemorating the anniversary of the enactment of the British North American Act, 1867. This basically set in motion the Constitution of the country and established the framework that the government would use. The act addressed the country’s Federal structure, the Senate, House of Commons, Canada’s justice system and the important taxation system. Also called the Constitution Act, the British North American Act 1867 unified three colonies of the British Empire that created the country of Canada. These three colonies are the Province of Canada, Nova Scotia and New Brunswick. These three colonies resulted in a federation comprised of four provinces of Canada, since the Province of Canada was comprised of the two provinces of Ontario and Quebec. The unification of these three provinces gave rise to the need for more self-governance from the British Crown. The Constitution Act then allowed Canada to be more self-governing and more independent from England. By 1982, Canada earned full political rights over itself. 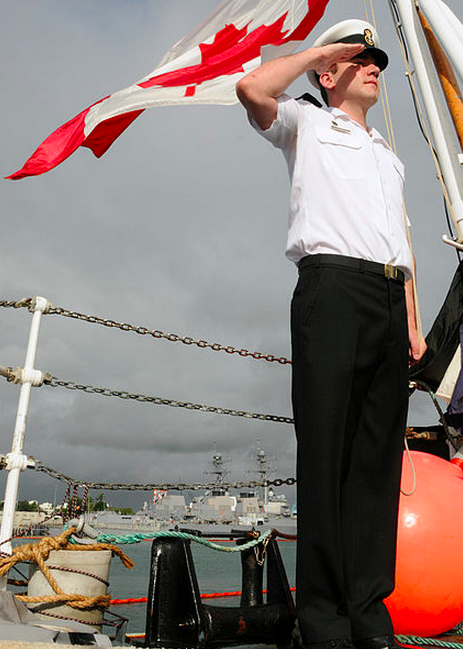 PEARL HARBOR (July 1, 2010) Leading Seaman Richard Glasbergen, from Grimsby, Ontario, raises the Canadian flag aboard the Royal Canadian Navy destroyer HMCS Algonquin (DDG 283) during the morning colors ceremony for Canada Day. This holiday was also called Dominion Day. This is because it is recognized that Canada was formed as a Dominion of the United Kingdom on July 1, 1867. 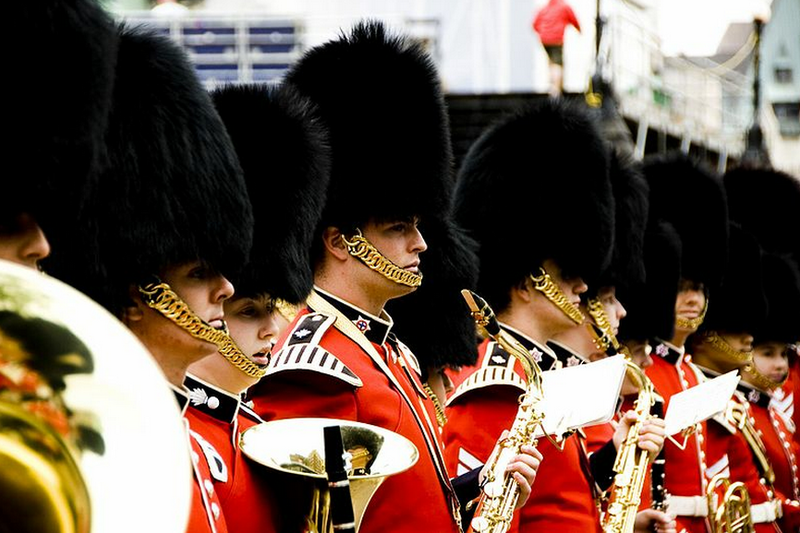 A Dominion is a group of autonomous areas that fall under the control of the British Crown. These polities eventually became independent of England. Aside from Canada, other British Dominions have been Australia, Newfoundland, New Zealand, Irish Free State and the Union of South Africa. It was a year after Canada became a Dominion of the United Kingdom that Governor General the Viscount Monck urged Canadians to commemorate the creation of the confederation. He did this by issuing a royal proclamation on June 20, 1868. However, it would be another year before the holiday was recognized as a statutory holiday. Thus, Dominion Day was created in 1879. Canadian patriotism wasn’t widely practiced in the 19th century. The people in Canada mostly regarded themselves as British, even though they were pretty autonomous politically. Therefore, official celebrations weren’t held up until 1917, which was 38 years after Dominion Day was declared. It was only celebrated on a national level, to coincide with the 50 year anniversary of the Canadian Confederation. After that national celebration in 1917, it would be another decade before Canadians all over the country would come out and commemorate the day once again. The Canadian government took charge so that by 1958, Dominion Day celebrations were held in the national capital. These included official ceremonies conducted on Parliament Hill, as well as a concert and fireworks show. By the 1960s, the celebration of Dominion Day began to take more meaning for more and more citizens. 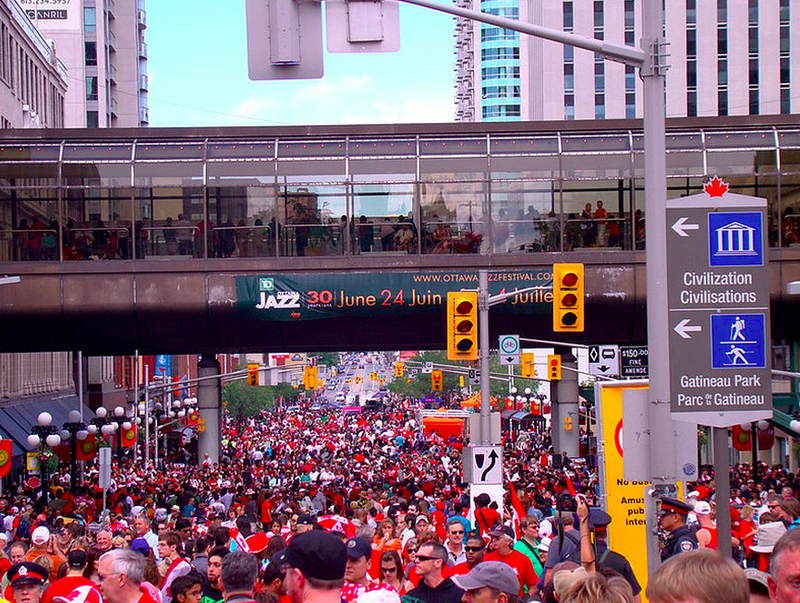 In Ottawa, the celebrations included activities such as concerts that were televised nationally, and the celebration was called Festival Canada. In Ontario, a beauty pageant marked the event, called the Miss Dominion of Canada. This was held at Niagara Falls. In 1967, the entire country finally joined in on the celebration, since this coincided with Canada’s centennial. From then on, there was no stopping the Canadians from celebrating the first of July as a major event. By the 1980s, the government started helping other cities have their own Dominion Day celebrations by allocating grants and financial aid to fund local celebrations and events. Finally, the holiday was officially changed from Dominion Day to Canada Day in 1982. This is the same year that Canada gained full rights to rule itself. 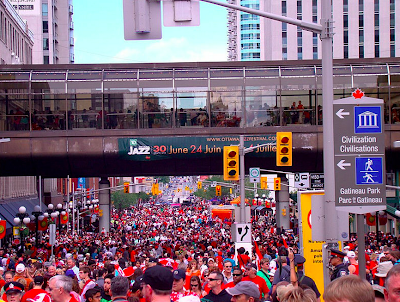 Canada Day is held every first day of July. However, there is an exemption to this rule. If the first of the month falls on a Sunday, then Canada Day for that year will be on the following day. July 2 becomes a statutory holiday, which means banks are closed and the country takes the day off. However, all the celebrations and events are still held on the first of July. An ocean of people. This happens on July 1 only! Canadians pull out all the stops when it comes to Fête du Canada. Some head out to the beach or fly kites at the park, since this celebration typically coincides with one of the warmest days of the year in the country. Homeowners fire up the backyard grill and hold barbeques while sipping Labatt beer. Many towns have local parades and Canadians often wear red and white in honor of the day. Some even go as far as painting their faces in the flag’s colors. Because it’s summer, it’s also the best time to go to a carnival and indulge in fried dough, cotton candy and go on various thrill rides. For many immigrants, this is the day they get sworn in as citizens of Canada. There are citizenship ceremonies all over the country to welcome new citizens of the country. In the country’s capital city of Ottawa in the Ontario Province, the prime minister, governor general and various important political figures come out to participate in official celebrations. The Royal family may even make an important appearance. The evenings are marked by colorful fireworks displays. Even Canadians not living in Canada take the time to hold their own Fête du Canada celebrations. 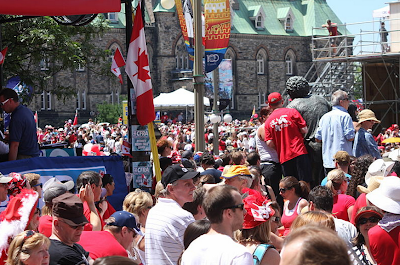 This is why there are celebrations of Fête du Canada in various cities of the United States, as well as in the United Kingdom and various parts of Asia. Anywhere there are Canadians, there is bound to be a celebration of sorts. It’s time to bring out the red and white maple leaf flag and take pride in everything Canadian. After all, this is pretty much the country’s birthday, and every birthday deserves a big celebration.